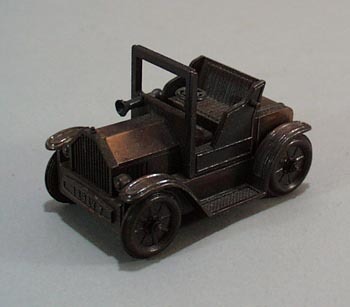 Copper Car Pencil sharpener. All metal pencil sharpener, the wheels turn and the steering wheel turns. License plate says 1917. This is from the 1970 era or a little newer. 2 3/4 x 1 1/2""
Items Similar To "Copper Car Pencil sharpener."